Calm… calm… Naked man. Soaking man. 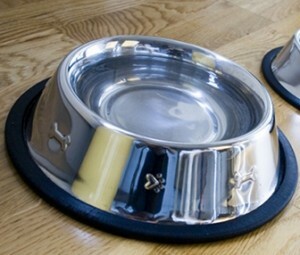 Dog bowl. Peştemal. Ortan. I think that probably brings you up to date with parts one and two. Any questions? Ortan stirred me from my dog-bowl supported meditation. As discreet as a Turkish Jeeves, he indicated that I should join him back over at the marble bench. Still glowing with a gentle sweat and dripping from my peştemal, I noticed, rather incongruously, a bottle of Molton Brown soap. Though I couldn’t quite read the writing, I’m almost certain it was the same type that I use. Ortan and I were obviously destined to be together. 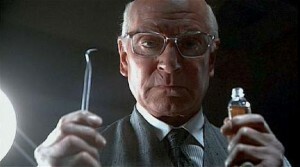 If you’ve not seen marathon man, this will mean nothing. So go and see it. Once again the dog bowl ‘is that alright?’ routine, which brought shades of Laurence Olivier in Marathon Man to my head (‘is it safe?’) before another thorough drenching. Ortan donned a large blue exfoliating glove, like sticking his hand into a neon loofah, and washed that thoroughly in the sink. He then proceeded to scrub my body all over. Thoroughly. The kese is a scrub using no soap. Attempting to slough off the accumulated grime of 34 years living in London was clearly going to be a challenge to my young Turk, but he set to with a will and vigorous enthusiasm. He started with my back, worked across my shoulders, one arm then the other, on to my chest and started working his way downwards. Yes, my body was aware of this thought, even as the watcher at the gates of the mind posted his sentinel just a microsecond too late. My body was definitely holding a conference call around the nerve centres, debating whether to respond or not. My mind was trying to instigate a block vote. And all the while Ortan worked on. Down to my ankles, then working his way up my left leg. Higher and higher, until exfoliating glove met dangly bits in a nudging contest. The body was counting the votes. The mind was seeking legal advice over its ability to veto any non-binding resolutions. Time for the right leg. As I was – look aside, those of a delicate disposition – dressing to the left on this occasion, the risk was lessened, but still there was some unwelcome glove/hanging succulents congruence. Fortunately, dear reader, the mind won. Ortan rinsed out the glove while I tried not to think of how much of London was going down the sink, and he started again on my back. It was just reaching the level of painful, when he stopped. ‘Is it safe?’, he said. I mean… ‘Is that alright?’ and again I was cavorting in dogbowl fountain. It was time for kupuk, the bubbly soap wash.
From somewhere Ortan produced a metal bucket, and filled it with warm water. He squirted in a large amount of liquid soap (definitely not Molton Brown, not at that price, not at that quantity, sad to say), and drew up a considerable foam. Underneath the sink was what I can best describe as a muslin pillow case. This got soaked in the soapy water, then wafted in the air, with the open end gaping, and twisted deftly to form a balloon. This was held over my head, and squeezed. As the soapy water was forced through the muslin, it produced an immense cloud of bubbles that descended onto my head. He did it again. And again, and again, and again. By now I could no longer keep my eyes open, as there was soap everywhere. Now I had no idea what was going to happen. The bubble cascade stopped… the massage started. I’ve only once had a ‘real’ massage, and this wasn’t it. It was pleasant enough, and probably designed to unwind rather than to be deep or therapeutic. Much the same sort of thoughts ran through my mind as before. Susan Sarandon has never been so busy. There was obviously one point at which his plan was to give me a shampoo, but he manfully did a scalp massage of uncertain technique. It can’t have been his first time pretending to shampoo a bald man. He paused… I could hear water running. Without even ‘is it safe?’, I was once again drenched, over and over again. Lather, rinse, don’t repeat. It appeared to be over. Ortan suggested that I could either leave now, or rest again on the marble slab. I rather liked that slab, and besides, there was more company there now, and everyone was respectably dressed. I went back to the slab, the dog bowl was repositioned, and I lay there, not quite steaming, but comfortably warm. I contemplated the wisdom of starting to sweat immediately after having been thoroughly scrubbed, but decided that the therapeutic benefits of meditation would outweigh any injurious sudorific effect. Perhaps I think too much about these things. How it should really be. Minus the gun, of course. An indeterminate time later, I decided that enough was enough. I tried to leave through same door, but Ortan was there to usher me through to another side room, leading back to the camegagh. There another tellak swapped my wet peştemal for a dry one, allowing me to make that tricky transition on my own. This photo has nothing to do with anything. It just makes me laugh. I was towelled down vigorously, then a large towel was put behind me, the sides pulled to the front as if I was about to be strapped into a catapult. He flapped the wings of this catapult slowly at first, then with increasing vigour. I wondered if James Dyson had ever been to a Turkish baths. This towel was then wrapped around me, and tucked in, trapping my arms. The process was repeated with a smaller towel around my head, tucked in and with a deft snap of the wrist, a further twist was put into it, pulling it tight. I was a symphony in peştemal, a walking absorption exhibition. Back out in the camegagh, I rested on the cushions. On a nearby bench lay the naked man, no longer naked. He too was wrapped like me, and we lay there like two stringless tampons. Now that we were neither naked nor in danger of becoming so, we were free to chat. The official English protocol was restored. A hushed barman brought me sherbert, like a honey and lemon drink. A virgin hot toddy, if you will. It certainly tasted nothing like a sherbert fountain, or those flying saucers you used to be able to buy. Most disappointing on both counts, but pleasant nonetheless. And 20 minutes later I was walking up the hill. I had spent about an hour and about £40. And I didn’t quite know what I thought.